Astrid Lindgrens Värld | Fans of the famous children’s author will be thrilled by Astrid Lindgren’s Värld near Vimmerby. 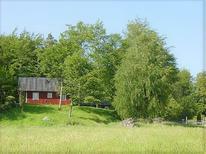 These holiday houses are in the vicinity of the popular recreational park. A holiday house in South Sweden costs on average USD 486 in the cheap travel period and USD 975 in the peak season per week. These details are of course in relation to the house and not per person as well as includes the obligatory additional charges. On a holiday to South Sweden visitors can enjoy the rolling hills, lush forests and rich culture that characterise the region. 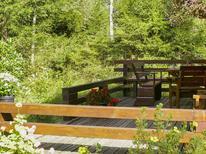 With holiday rentals visitors can enjoy South Sweden's opportunities with the comforts of home. 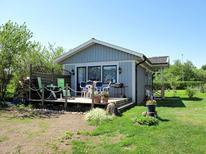 Holiday houses in South Sweden are easy to book and rent. 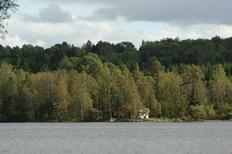 Southern Sweden is characterised by rolling hills, green forests and a coastline. For visitors looking to spend time outdoors hiking and exploring South Sweden is a great destination. Many visitors spend their days hiking through the forests or green hills on the expansive trail network, taking in the views, before returning to the calm of their holiday houses. There are also many quaint coastal villages in South Sweden with holiday houses where visitors can enjoy a relaxing holiday on the coast. There are many holiday apartments in South Sweden so visitors can pick the location that fits in the best with their holiday plans whether Helsingborg or Kristianstad. In recent years South Sweden has earned a spot on the world's culinary map. The spatekaka is a cake the region is known for, and the thin pancakes with bacon on top are a traditional and local favourite. If visitors want to try cooking these delicacies themselves they can buy all the ingredients fresh and cook up a feast at their holiday homes. Malmo is the local culinary capital and visitors can enjoy the many fine restaurants in the city from their holiday homes. If visitors want to try an authentic South Sweden feast they should take a day trip from their holiday apartments to Skane, the home of Daniel Berlin, an internationally known chef who runs a small restaurant that serves the finest authentic South Sweden meals.